Five days later, on a grey drizzly afternoon, Pharazon stepped off the gangplank of the sky-ship liner and into Brightvale’s bustling skyport. He pulled the hood of his travelling cloak closer around his face to protect himself from the chill air, watching his breath pool in front of his snout every time he exhaled. 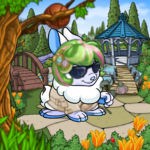 Spring was just getting under way here in the Meridell region, which meant the snows had left for another year, but it was still too cold for Pharazon’s liking and he envied furred and feathered Neopets in this weather. On days like today he would much rather be curled up on a couch, reading. Before we begin, ask yourself 'what do I want most on Neopets?' While we all use this beautiful piece of the interwebs for different reasons, one thing that people will always agree on is that winning is a pretty fabulous feeling. Everyone likes to be a winner at least once in their life. Neopets has a lot of different ways to be a winner. This article however, is about the Poetry Spotlight and if prizes, glory and shiny new trophies are your thing, keep reading because you're gonna love this. I'm not the only person Keriso, the zombie Draik, plays tricks on. She does it all the time to everybody. Friends at school, my dad, her mum, Duimu the grey Grarrl from up the street, strange Neopets in cafes, even teachers. And even our new teacher Miss Gest which takes some nerve, I can tell you. Miss Gest is the games teacher, as well as our class teacher. She's a green grarrl with short black hair and solid legs like tree trunks. She wears great thick spectacles like the bottoms of jam jars and she has a bellowing voice that you can hear from the other end of the playing field. And you should just hear they way she yells at us. "You have two minutes to get changed, starting from.... NOW!" She shouts standing in the corridor between the boys' and girls' changing rooms. And woe betide anyone who isn't in their shorts, t-shirt and plimsolls by the time she blows that horrible shrieky whistle she wears on a blue ribbon around her neck. I was walking to school one Monday morning and I hadn't called for Keriso that day, partly because I was still sulking about her spoiling my mum's best sheets over the weekend with a hair-brained scheme, and partly because the postman had just given me a letter with a Kiko Lake postmark and I wanted to read it in peace. The letter was from my grandma, a plushie Kiko who I am very fond of. And I got a very nice surprise when I opened it because there was fifty Neopoints inside, as well as a belated birthday card with a picture of a plumpy on the front, who looked just like my petpet Cortana. I was smiling at the card when I heard Keriso's voice behind me. "Eastly," she called. "Wait for me." Feepits! I feel funny fabricating fables featuring Florg, the famished fickle feaster. Frankly, Feeding Florg falls firmly as my favorite feel-good fun! Alas, I cannot keep this alliteration afloat, so onto the guide ye feeders seek!